Thoughts on aspherical side mirrors? I did a search and there seem to be more people that were disappointed in them for our car and saying the driver-side one was zoomed in (like the passenger side) instead of just aspherical and they didn't like it. Things will appear smaller, but you get a wider view. This was the first mod I did when I had my AT, and the first mod I did on the last car. In fact it's been the first mod on like my past 12 vw's. I'd agree that newer asphericals have this affect, where per se, the mkiv's didn't. To each their own, but not having that wide angle in traffic is really annoying to me. I had them on my Passat and loved them. I'm curious to how they will work on the AR since the side mirror is smaller. I have the ECS non-oem ones...they take a few days of getting used to, but I love them. Quality is supposedly not great, but I had had no problems yet, and for the price I would not complain if the self-destruct in another 10k miles. I have the ones from DAP and they are perfect. First mod I did to the AT. I previously had the blue tinted ones on my A3 and could not believe I had gone so long without buying them. As mentioned above, the blue tinted ones do not stay blue. Tried jumping my truck with it. Think my starter solenoid is junk. 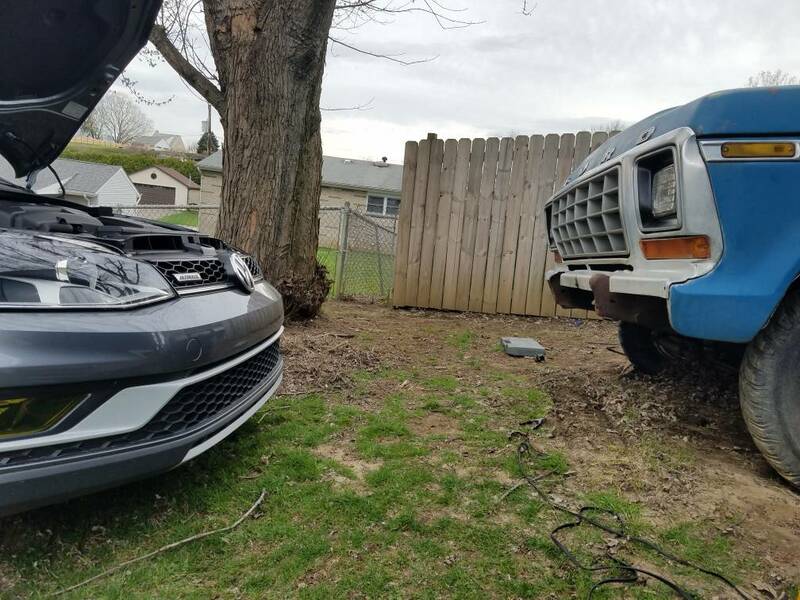 Picked up a 17 SEL with Lighting and Driver Assist Package. Said goodbye to 04 Passat Wagon. Oh and also cleared the snow off of it in April. I did the same thing in February. 04 Passat Wagon GLX for a 2017 Golf Alltrack in White (although I don't have the lighting package). The most minor of minor annoyances is when your washer fluid is low, it will now say something like "Fill Washer fluid" when it used to say "Top Off Washer Fluid." I just liked the way they phrased it previously. HARLEY DAVIDSON: Yesterday's technology at tomorrow's prices. 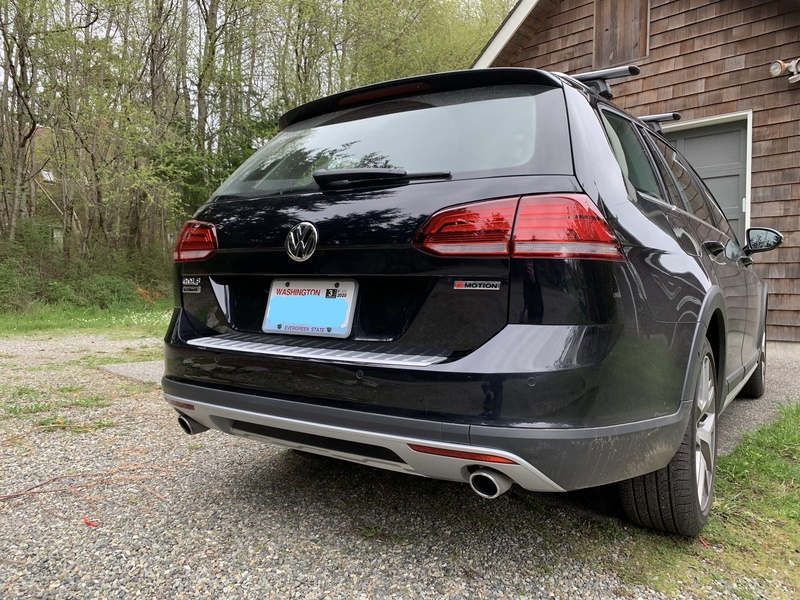 Installed an OEM Bumperdillo on a '19 Alltrack. 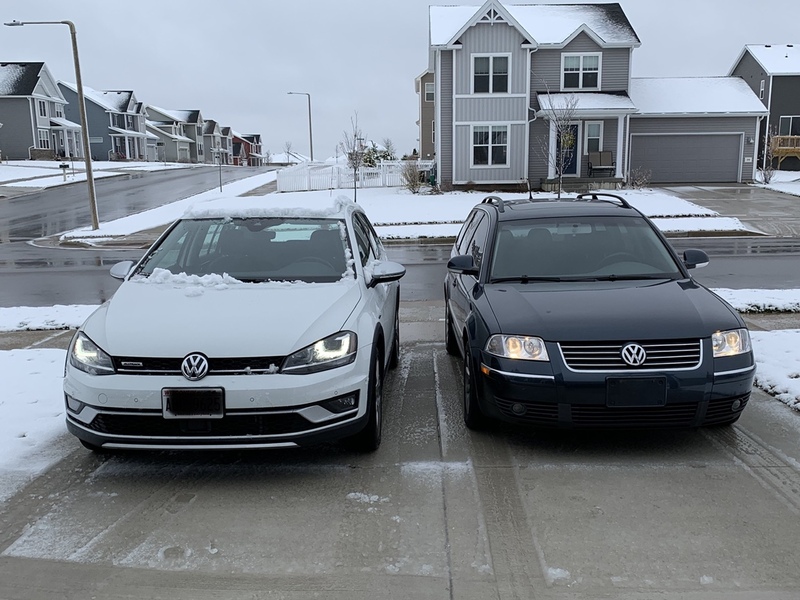 I've heard some people say they don't like the contrast of the bumper protector with the Black Pearl paint, but I think it goes well on the Alltrack where it matches the silver body trim around the rear and sides of the vehicle. Fun story: When I picked up the protector at the dealership parts desk, they tried to over-charge me by $35, but when I showed them the price online they just caved and sold it to me at the standard cost. I’ve actually been looking for a good picture of the OEM cover on a black Mk7 for some time. It’s settled my decision on whether to go with that or 3rd party. I just did all three mirrors from DAP. The sides are wide angle as stated and work very well eliminating the blind spots. As specified. The Homelink rear is a fantastic upgrade as well. Style and functionality all the way. I don't think you'll be disappointed with any of these upgrades. I couldn't stand the rattling license plate when closing the boot. 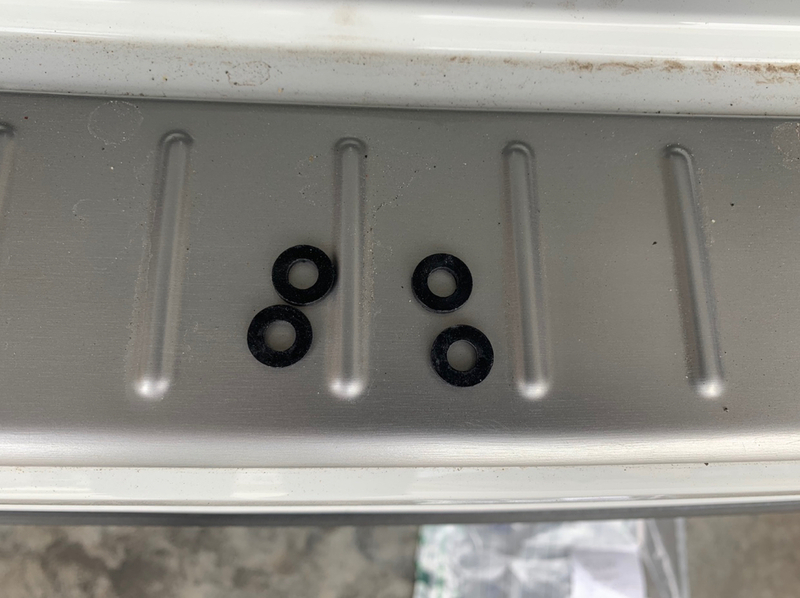 I put some rubber washers between the plate and mounting bracket. Problem solved! Did some goody coding today with the OBDEleven. Worked well enough but the challenge was matching up 3-4 year old instructions for other MK7 Golfs to the newer car. Things were just placed under different adaptations and stuff. Wasn't able to get several of the codings working though. I was successful getting the passenger mirror dip using my Carista. Still can't get Auto Rain Closing. Used it for wagon stuff.